A long-time Parents' Choice music critic, Lynne was a staff writer for 25 years at the Los Angeles Times where she established and maintained the paper's first weekly children's arts and entertainment beat and was a general arts reporter. Now a freelance writer, Lynne works in the areas of non-profit communications, the arts and family entertainment (specializing in children's theater, music, audio books and book illustration). 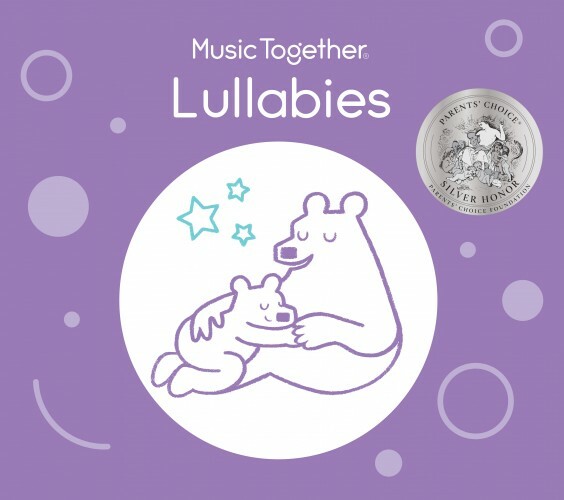 Music Together Lullabies is a soothing anthology of all eighteen (18) lullabies from from the nine (9) Music Together song collections. This CD and digital album won eleven (11) awards including Dr. Toy's 10 Best Audio-Video Products for 2009. Features a bonus digital album access code and a 22-page booklet with lyrics and calming activity ideas for parent-child bonding. Lullabies provide a time to be close to your child physically, emotionally, and musically. For babies and toddlers, lullaby time is a comforting ritual that eases the bedtime transition. For older children, who are increasingly verbal, it is often the time they spontaneously confide their hopes and fears. For parents and caregivers, it is a time to pause in their busy day and enjoy a moment of quiet intimacy. A lullaby is one of the most precious gifts a parent can give a child. Enjoy!